If you are an iOS user, there will always be one reason for you to transfer files from Mac to iPhone or vice-versa. Evidently, there is more than one reason to transfer files and that can be everything from videos, images to SMS and contacts. Actually, there are a few ways to transfer the files safely from Mac to iPhone and one of them is provided by the company itself, iTunes. Everyone knows about iTunes, it is a significantly important app for iOS users and it has multiple features that provide support for the users. Now, if you want to do it without iTunes, you can do it with alternative options like AirDrop, Dropbox, or other third-party apps. And they are detailed step by step in this guide. 1. 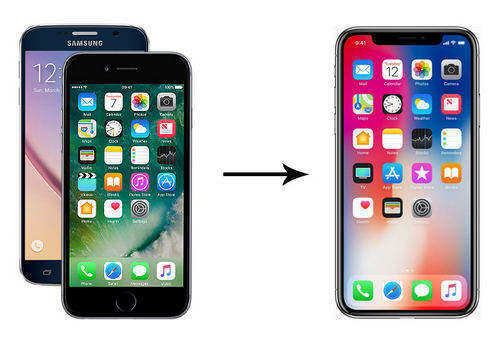 The very first thing you need to do is that connect that iPhone to your Mac. Use the data cable provided by Apple. 2. iTunes will be launched, click on the Device button. 3. Then go to File Sharing. 4. Now, select the file you want to transfer and click on “Save to” option on the right side of the panel. 5. Finally, select where you want to save the file and then click “Save To” again. After you perform these steps as described above, the files will be transferred to the other device easily. In this case, it's your iPhone. So, if you are stuck with how to transfer files from Mac to iPhone, now you know how to use iTunes and do the job. Just follow the steps carefully! There are various alternatives available to iTunes but the best one is still Tenorshare iCareFone. 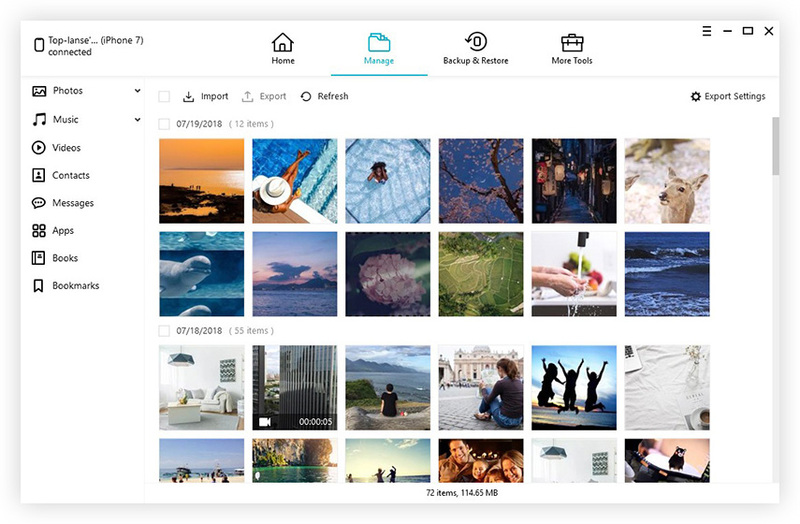 It is a third-party software developed by an independent company that helps iOS users to transfer data from one device to another very easily. 1. Just download and install iCareFone on your Mac. 2. Run the software and connect your iPhone via a data cable. 3. Go to Manage on the top menu. If you just want to transfer photos, you can click the shortcut of One-click Export Photos to PC. 4. After entering Manage interface, select a data type from the list of categories you want to add to your Mac. 5. Then click on the Import option on the top of the window to finally transfer the files. You can clearly see that using Tenorshare iCareFone is very easy. It is basically a straightforward step by step procedure and the app actually thrives upon its simplicity and efficiency. Don’t miss it! 1. Turn on the Wi-Fi of both your Mac and iPhone. 2. Activate the Bluetooth on both of the devices. 3. Now, on your Mac, go to Finder and launch AirDrop. 4. Activate the option “Allow me to be discovered by” and choose between the option “Everyone”. 6. Now get back to your Mac, and just drag and drop the files you wish to transfer on your iPhone icon visible on the AirDrop window. 7. On your iPhone, tap Accept to receive the sent files. It will be very easy for you to use AirDrop as your default file transfer app, mainly because it comes preinstalled with the MacOS. So, it is readily available and the wireless option provides flexibility. 1. Go and create an Email account or you can use the existing one. 2. Open your Mail, and create a new message. Tap the attachment option and just upload the required files. 3. Now, that the file has been attached to the email, you just have to type your email address and press Send. 4. Open your target iPhone and just download the attachment from the Email and that's it! Email is one of the oldest data import options. Unfortunately, Email is not suitable to transfer large files. People mainly send MS documents or a limited amount of pictures, small videos etc through email. 1. Download the Dropbox app on your Mac and log-in to your account. 2. If you are using your browser, find the Upload option the Dropbox window and transfer the files of your choice to the cloud. Or else, it is best to just drop the required files in the Dropbox folder. This is a dedicated folder which gets activated while you install Dropbox on your Mac. This folder actually syncs all its data to the Dropbox account. 3. Now, take out your iPhone and run Dropbox. 4. Sign-in to the same Dropbox account and download the files on the iPhone. 5. As you can see, Dropbox is very convenient and provides an efficient and fast service. You can also choose to keep the data on the cloud account. The only con here is the 2GB storage space which is too low. Overall, we have discussed the 5 most effective medium of data transfer that includes iTunes and options other than iTunes. If you have read the article carefully or heard the statements then you know about the downfall of iTunes. Frankly once upon a time, it was a great app but now the glitches have made it worthless. So, it will be better for you to look through other options like AirDrop, Dropbox or Email. These are very convenient modes of file transfer. 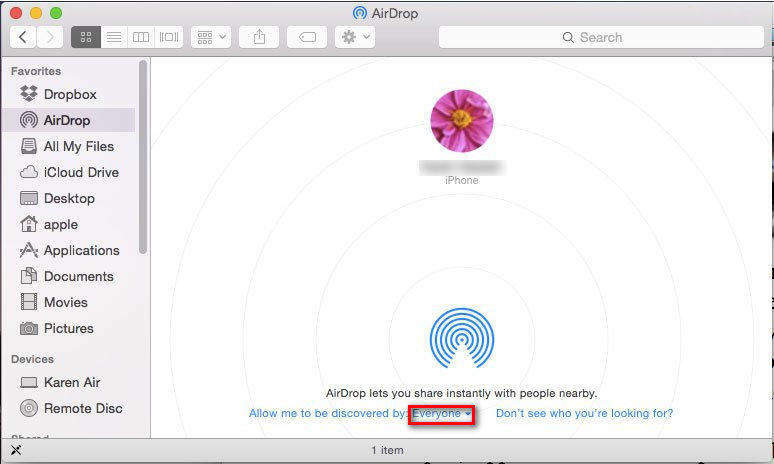 AirDrop transfers wirelessly and Dropbox provides a convenient cloud service but if you want to stay one step ahead of everyone then go for Tenorshare iCareFone. It is the best in terms of everything you can think of. No storage limitations, no Wi-Fi needed, no data loss and the list go on. Highly recommended! !